Republican presidential candidate Jeb Bush gave a speech just south of Raleigh on Wednesday, outlining a tax overhaul proposal that he says would spur economic growth by dramatically lowering corporate and personal income taxes. Bush, speaking in the warehouse of a Garner manufacturing company, laid out a plan that he said would encourage businesses to invest domestically and would end income tax liability for millions of low-income households. Making several references to President Ronald Raegan's tax overhaul of 1986, Bush said his proposal would reduce the federal budget deficit by encouraging an annual economic growth of four percent. The plan would lower corporate income taxes to 20 percent from 35 percent and give companies the chance to deduct new capital investments immediately. The plan would reduce the number of tax brackets from seven to three, lowering the top income rate from 39.6 percent to 28 percent. 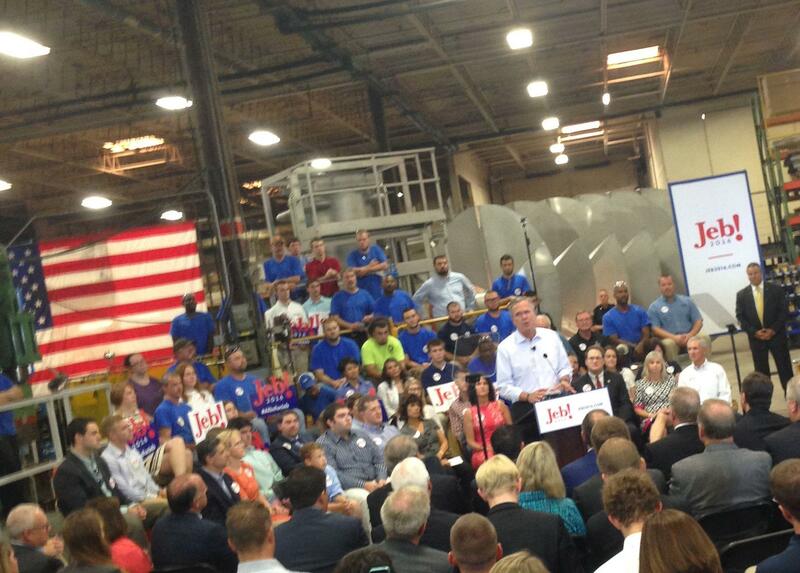 Bush spoke at Morris and Associates, a roughly 100-employee company that makes industrial cooling equipment for the food and construction industries, and was introduced by the company's president, Bill Morris. "My plan will make it easier for a business like Bill's or yours to buy more equipment, hire more workers, and increase wages," Bush told the crowd. Bush replied in his speech to attacks he's gotten from other candidates vying for the Republican nomination, saying that having the loudest voice is not a sign of leadership. "Having a thoughtful plan that has enough details where you're going to be able to get it challenged and fight back and persuade people it's the right thing to do is the only way big ideas will be implemented in Washington D.C.," he said. 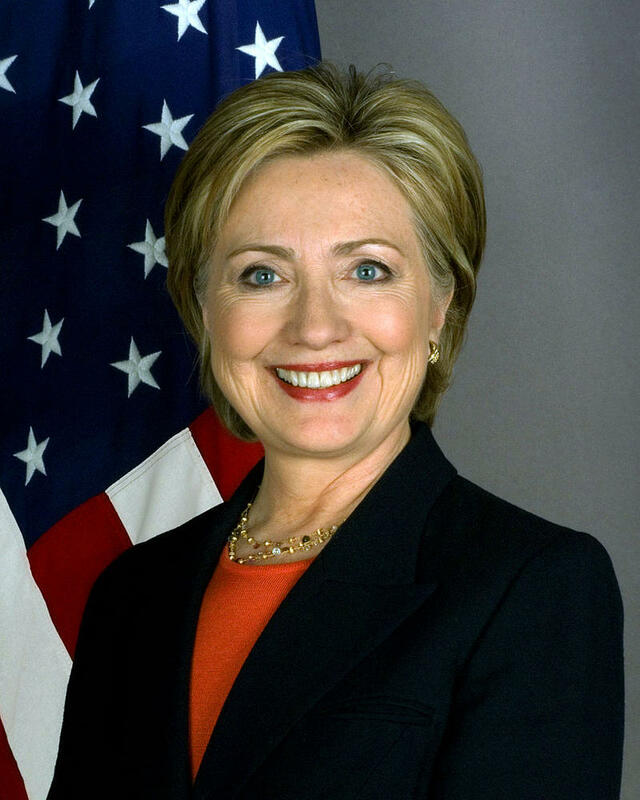 Hillary Clinton announced this week she will be running for president and wasted little time starting her campaign in Iowa. North Carolina is expected to be a battleground state for the former Secretary of State and a recent poll shows she has work to do here winning over voters.